Our search for a good place to eat led us to La Creperie at The Veranda in Robinsons Galleria. At first, we thought this place only serves crepes, but we were surprised to find out that they offer rice meals, too, so we went inside to try their food. 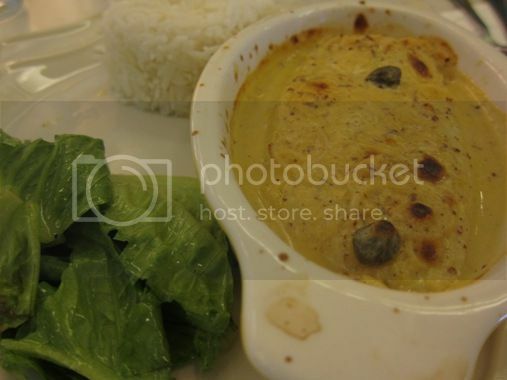 We had Baked Fish with Dijon Mustard Sauce, Eggplant Moussaka and Blanquette de Boeuf. This was not my order, but I simply had to taste it. The fish was soft, tender and flavorful. I loved this! 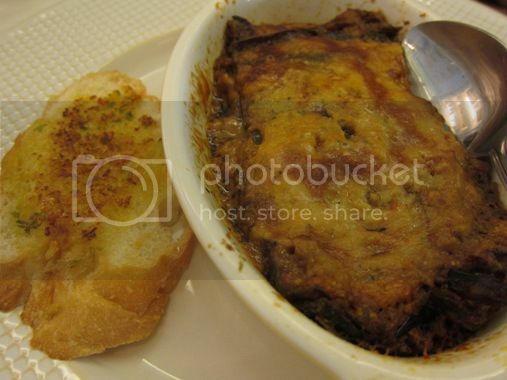 Eggplant Moussaka is eggplant with ground meat filling. I ordered this primarily because I found the name intriguing. This order came with garlic bread, but I simply had to have rice for lunch, so I placed an additional order of steamed rice, which perfectly complemented this dish. It was my son who ate the garlic bread and ordered some more. 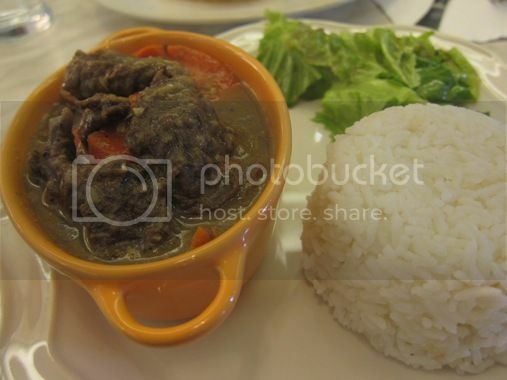 Blanquette de Boeuf is beef stew in layman’s terms. Hubby liked it! The beef was tasty and tender and was actually good for sharing. He wanted me to try it, but I was already content with what I ordered. La Creperie also has ice cream and yogurt for desserts, and I simply had to try their Antioxidant Yogurt. This is yogurt topped with antioxidant fruits namely: strawberries, kiwis and blueberries. The yogurt was lacking in taste, but the fruit toppings made up for the blandness of the yogurt. This was another expensive lunch. Good thing, hubby was the one who paid for it! LOL! 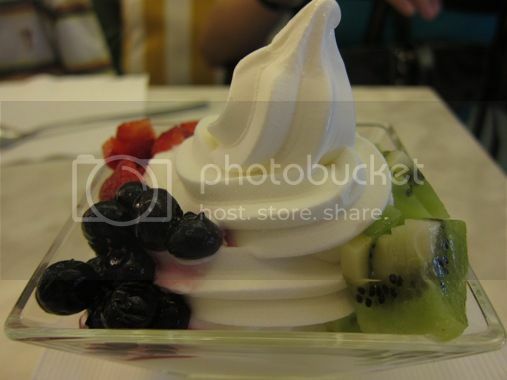 This entry was posted in La Creperie, Restaurant Review, Robinsons Galleria. Bookmark the permalink. The food is really expensive… LOL! I love crepes at La Creperie. I had the savory crepe which is made up of cream cheese and spinach, yum! I so wanted to try cooking eggplant moussaka but I’m really intimidated because I might not like the result so I keep on postponing. I better try their version first before I try making one at home.